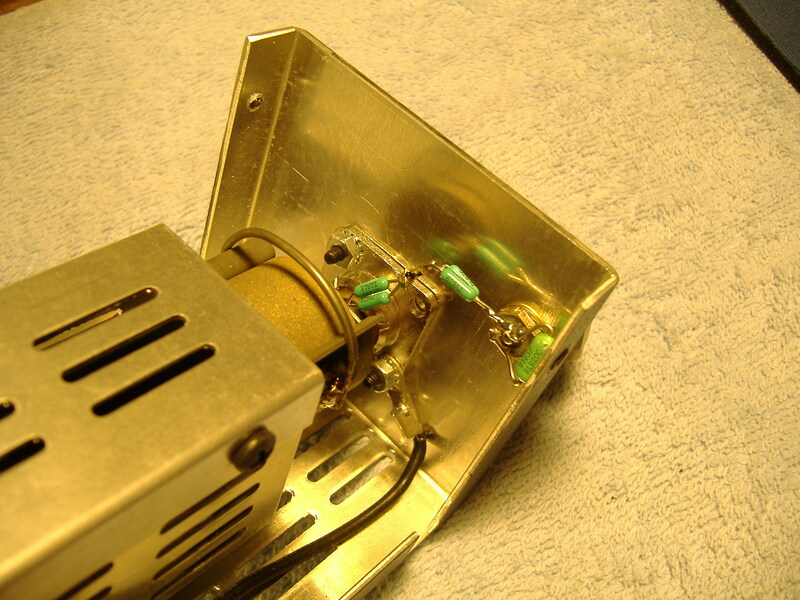 This modification transforms the MFJ-264 into a power rated 40dB attenuator. The MFJ-264 is still useable as originally intended (dummy load) but the addition of a -40dB sample port gives it new functionality. 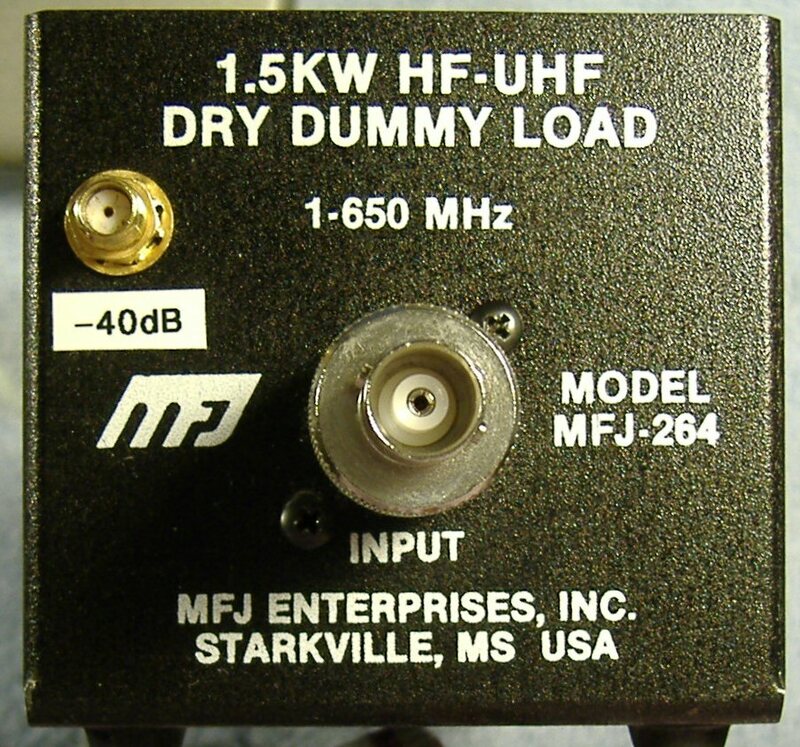 -40 dB means you get 100 mW on the sample port when you apply 1 kW to the dummy load input (10 mW for 100 W input). This is very useful if you want to drive a spectrum analyzer, a counter or other low power test equipment from the output of your transmitter. Please note that the resistor values are not ideal (that's what I had on hand) but when driving a proper 50 ohm load, the attenuation is a very flat 40dB all the way through VHF and still only 1dB off at 500 MHz. Please note that the fact that the resistors are metal film and not carbon composition has negligible effect on frequency response, at least up to 500-600 MHz. Most of the variation over frequency is due to lead length. 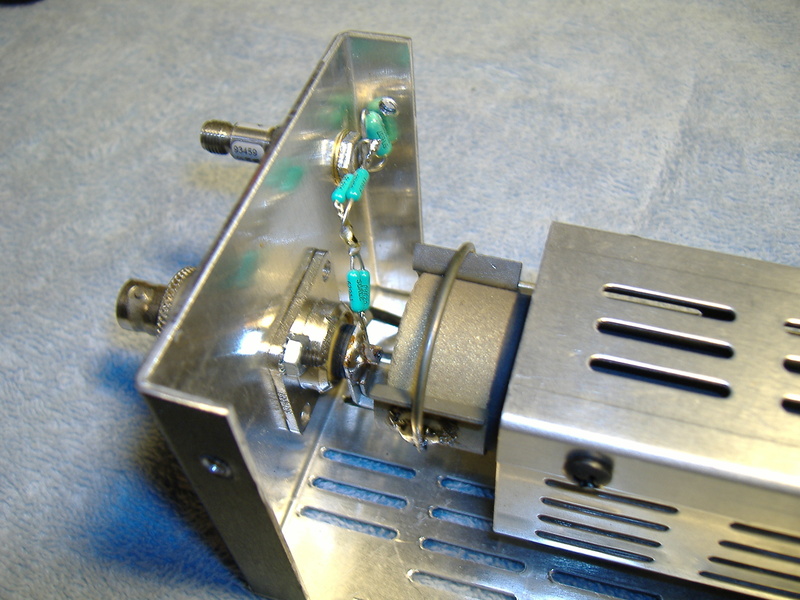 Metal film resistors are considerably more stable than carbon composition and much better in this application. 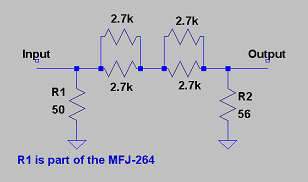 Using four 230 ohm 1/4W resistors in star formation at the output instead of a single 56 ohm resistor would give a much better high frequency response (by reducing the stray inductance of the resistor leads). Finding a way to fit surface mount resistors would be even much better. The plot was taken using an HP 8656A RF Synthesizer as the constant amplitude source, and an HP 436 power meter and associated power head as the measuring device. Software running on a PC and driving the instruments through the GPIB port generated the plot. Please note that the MFJ-264 was fitted with a SO-239/BNC adapter for the picture.